Global giant’s top brass could be handed £10 million share windfall… each! 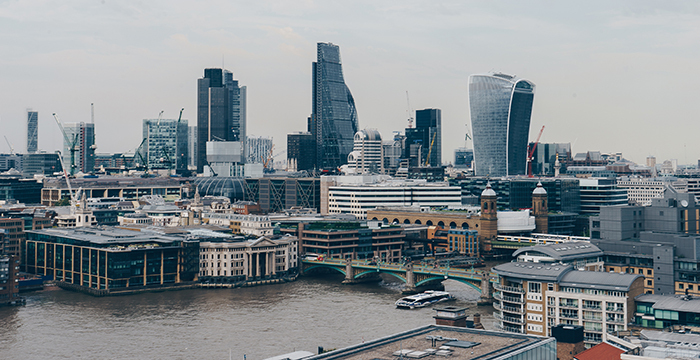 Global outfit DWF is gearing up to float on the London Stock Exchange (LSE) in a move expected to make up to £1 billion. Slater and Gordon was the first law firm to float. The personal injury specialist went public with a listing on the Australian Stock Exchange in 2007. Since then, a raft of UK firms have followed suit, including Birmingham-based Gateley, national outfit Keystone Law and London duo Gordon Dadds and Rosenblatt Solicitors. Earlier this month, regional law firm Knights also announced its intention to list on the LSE. DWF’s seven-figure flotation estimate is a far cry from its early life as a humble northern upstart. The Manchester-headquartered firm — which boasts flashy office space high up in London’s iconic Walkie Talkie building — quickly grew though a series of domestic and international mergers. Legal Cheek’s Firms Most List shows DWF now has 23 offices in nine countries, and offers around 40 training contracts annually. Heavily leveraged, overstretched low-value claims boiler room decides to go big in a “£1bn IPO”. I mean, what could possibly go wrong right? Assuming this actually goes ahead (so far it looks like a free bit of marketing puff), let’s see how long it takes before their stock goes junk. We should never have removed the rules preventing corporate structures. Law is a profession. Justice is a service to the nation. This stuff is wrong. Somebody somewhere has leaked this story, hence DWF being forced to justify what is at best a possibility before they are ready. Not enough working capital and lack of other larger firms wanting to merge means they think they may have to go public – before they go bust, obviously. The shop’s been heading there for the past 6 months – huge overheads, white elephant office with no good work in London, rapid expansion with little sense of direction. This IPO is the last gasp for air before the whole structure implodes. If I were a trainee there now I’d be opting for the most transferable seat choices possible (Corporate, Real Estate, Disputes) as you may not have an NQ job at the end of your two years. I’d happily invest in a multi level marketing scheme before giving them a single penny. Big windfalls for the morbidly obese partners, shaft your staff and then drive the shop right down the toilet. That’s DWF for you in a nutshell. Just make sure your pension fund is nowhere near this. This is Halliwells 2.0, the only difference being that those poor sods didn’t have the option of the IPO route to keep the Ponzi going. I’ve asked the partner I work with when will the next salary raise be, he told me it would be “after the highly successful IPO”. I could hear him laughing with delight after I left his office and closed the door. This was in the men’s rooms – he liked to refer to the cubicle as his “office”, the bog his “throne”. No wonder it wants to take even more then run. Shame, some nice people work there. DWF is distinctly average and as others point out is over-reliant on insurance related work. It is run by paralegals. It is so far out of it’s league it is laughable. Mate, I make that – baseline – in a year. Top brass usually indicates old balls. So let’s analyse this: Old guys on the verge of retirement from a mid tier boring shop with mid tier boring equity drawings for years all of the sudden decide that they need to do a massive flotation in the twilight of their career? I am sure there is no inference to be drawn from that. When you put it like that, old balls never looked so good! Yep, the deadwood partners will coin it straight before retirement and the staff will still be paid peanuts for working in a boiler room. Utter genius if you ask me. This is the most blatant golden parachute deal for those fossil partners on the way out. But you are being highly optimistic that the staff will still be paid! Someone will go Bain Capital on them and fire everyone when the stock starts plummeting or it will be too late and the firm will implode. 1 billion is 10 figures, not 7. They’re bloggers, not real journalists. Stop holding them to the same level of competency. It’s the staff I feel sorry for. Money goes to money. Watch the fat cats run once they have it. Leaving good people up the creek without a paddle. When the bank stops increasing the overdraft and debt capital can’t be raised from an institutional lender then flotation for equity becomes an option. The lack of organic growth is clear and with them looking to scale – as rheir relarively recent star signing knows nothing else than this as a strategy- it will try to replicate DLA but fail. Some decent people there. I hope they get out soon. This will be the first of many as venture capitalists coin it in to consolidate the insurance market as traditional firms fail to grow and afford merger/acquisition as profit margins only grow with reduced wages for those below the ponzi pyramid. Those at the top are looking for a nice retirement fund. Won’t happen, it is all rubbish. If I am missing something then please do explain but I can’t see how an ipo could work for a law firm. If partners sell their equity they will not stay at the firm since they will no longer be entitled to a share of the profits. Therefore they will need to be paid a salary which is equilavent to what their pep was prior to the IPO otherwise they will be likely to move to a competitor firm or retire. So you can either 1) pay the ex equity partners salaries equilavent to their pep prior to the IPO which will mean that their will be no profit remaining for the shareholders. Or 2) not pay the partners salaries similar to their pep prior to the IPO in which case they will all leave and so will most of the firm’s clients since many of them will see certain partners as their advisor not the the firm itself and the firm will fall apart. Also even if we assume that the equity partners would be prepared to stay on and work for free at the firm, which of course they wouldn’t, I don’t see how the firm could possibility be worth £1bn. The firm has revenue of around £200m and profit of £25m. So even if the partners were prepared to work for free, which of course they wouldn’t, only £25m profit would be retained for shareholders. Which if the IPO raised £1bn would be a yield of 2.5% and you can find far less risky investments with yields higher than 2.5%. You’d have to be mad to invest. Gateley? Gordon Dadds? Some other TOP TOP outfit I haven’t heard of? Look at this chippy small-time lawyer go. Off to completing £10m deals you go then, big boy. You must be very well paid. Okay if the partners retain the majority of the shares and there is some form of temporary lock in agreement for the partners I can see how in the short term it could work. However the lock in agreement can only be temporary so what happens once it ends and you have partners who own the majority of the firm in the form of tradeable shares? The partners will either retire and retain their shares or sell them. In which case you will end up with 100% of the firm owned by people who don’t work at the firm so you will have the same problem mentioned above – you will have to give all the profit to senior lawyers who are essentially replacements of the partners leaving no profit for the shareholders. If you keep a significant amount of the profits for the shareholders the replacement partners will be underpaid relative to competitor firms and leave taking their clients with them. Also you haven’t addressed how the IPO could be worth £1bn when profits are currently around £25m? Especially since you say that the partners will be retaining the majority of the equity. Yes you are correct there. I was commenting on the fact that the article said that the IPO was “expected to make up to £1bn” which would imply that £1bn worth of shares would be sold. Although clearly that part of the article is incorrect. Could you explain how the IPO model will work in the long run once the the lock in period ends though? Since you seem to think that anyone who doubts the merits of a corporate structure in a law firm is in an idiot you should be able to explain. The comments regarding salaries, 10m deals and the quality of firms which have previously undertaken an IPO were not left by me. I am not a lawyer im just genuinely curious as to how a corporate model can work for a law firm. I’m not suggesting that anyone who doubts the idea of a corporate structure is an idiot. You clearly are not and you put to shame some of the lawyers posting on here who, though obviously clueless, are quick to mock and condemn. The changes that Clementi recommended have been in force for a number of years and the profession has to face up to the opportunities and threats that external ownership presents. You have correctly identified the biggest hurdle, namely what happens when the lock up period ends. There are a number of steps a firm can take to avoid a stampede and consequent collapse. First, shares should be given to all employees, with the greater proportion being given to the senior associates who are the lifeblood of the firm. That would engender collective enthusiasm for the success of the business. It’s also tax efficient for higher rate taxpayers because you could receive part of your remuneration package in dividends rather than salary. Outstanding performance could be rewarded with share allocation and. if and when a partner decides to cash in and move on, what is to stop a younger partner buying the share allocation? It would be no different to the traditional revolving equity model. Isn’t this simply a headline to get DWF partners to stump up more cash in response to a pending cash call? I can’t see DWF floating but I can see partners stumping up cash in response to the announcement that they may float so it may be a case of mission accomplished. The key work winners and doers need to be locked in by share ownership and incentivisation packages where a company floats otherwise there is way too much risk for investors. That does not mean equity partners in their 50’s looking for one final pay day.